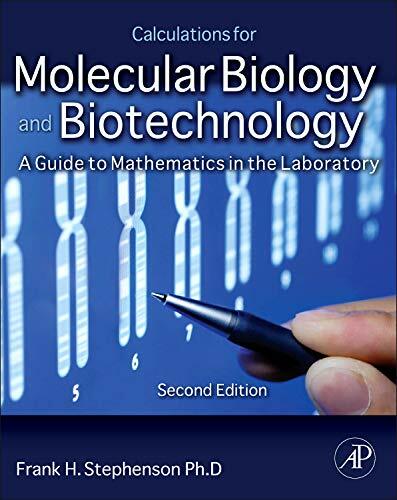 Calculations in Molecular Biology and Biotechnology: A Guide to Mathematics in the Laboratory is the first comprehensive guide devoted exclusively to calculations encountered in the genetic engineering laboratory. Mathematics, as a vital component of the successful design and interpretation of basic research, is used daily in laboratory work. This guide, written for students, technicians, and scientists, provides example calculations for the most frequently confronted problems encountered in gene discovery and analysis.The text and sample calculations are written in an easy-to-follow format. It is the perfect laboratory companion for anyone working in DNA manipulation and analysis. *A comprehensive guide to calculations for a wide variety of problems encountered in the basic research laboratory. * Key chapters devoted to calculations encountered when working with bacteria, phage, PCR, radioisotopes, recombinant DNA, centrifugation, oligonucleotides, protein, and forensic science. *Written for students and laboratory technicians but a useful reference for the more experienced researcher. For most of my entry-level biotechnology students, it's not the science, it's the math. Adults and students in my three-year biotechnology pathway (San Mateo Biotechnology Career Pathway) have weak, incomplete or dated math backgrounds. Dr. Stephenson's "Calculations for Molecular Biology anf Biotechnology" quickly and clearly explains and demonstrates how to make the most common calculations done in biotechnology research and manufacturing. In a conversational way, that puts users of all levels at ease, the book does a particularly good job of presenting text in small, digestible amounts with practice problems and answers directly following. For my program, Chapter 1 (Scientific Notation and Metric Prefixes) and Chapter 2 (Solutions, Mixtures, and Media) are excellent reviews and remediation of calculations taught in the first semester's standard lab training. Other chapters include several sections that are used or could be used as reference for my second and third year students. Some of these include bacterial growth curves and cell culture concentrations (Chapter 3), DNA Quantitation using spectrophotometers and gels (Chapter 5), PCR reactants concentration and preparation (Chapter 8), Protein Quantitation using spectrophotometry (Chapter 10), and Data Analysis (Chapter 12). One of the things I like best about the book is that there are so many topics presented that my students have proposed several new research ideas utilizing the techniques and calculations presented. This new approach to mathematics --- the utilization of advanced computing technology in mathematical research --- is often called experimental mathematics. The computer provides the mathematician with a "laboratory" in which she can perform experiments --- analyzing examples, testing out new ideas, or searching for patterns. 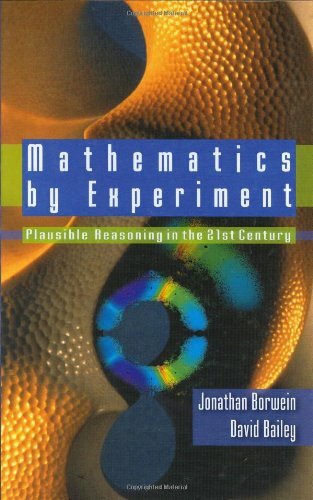 The collaborative work of Jonathan Borwein and David Bailey, Mathematics By Experiment: Plausible Reasoning In The 21st Century provides a complex and informative text for advanced mathematics students which offs an historical context and rationale behind experimental mathematics, as well as how modern technology enables the analysis of new examples and the discovery of patterns in a previously unimaginable "laboratory" of raw processing power. 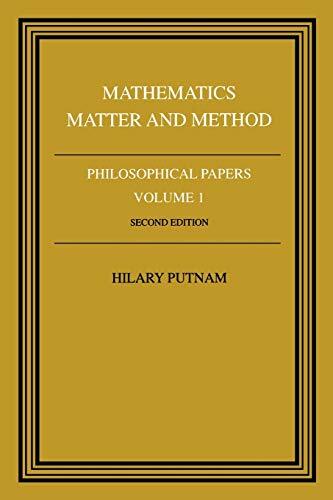 A thoroughly detailed work, Mathematics By Experiment offers a veritable wealth of meticulously presented examples which are most especially recommended for graduate-level mathematics studies. "Mathematics by Experiment" is a ground-breaking book about a new way of doing math that generated so much excitement it was reviewed in "Scientific American" six months before it got into print. The authors are long-time collaborators David Bailey, chief technologist in the Computational Research Department of Lawrence Berkeley National Laboratory, and Jonathan Borwein, professor of science at Simon Fraser University in Vancouver, B.C. They write that applied mathematicians and many scientists and engineers were quick to embrace computer technology, while pure mathematicians -- whose field gave rise to computers in the first place, through the work of beautiful minds like Alan Turing's -- were slower to see the possibilities. Two decades ago, when Bailey and Borwein started collaborating, "there appeared to be a widespread view in the field that 'real mathematicians don't compute.'" Their book is testament to a paradigm shift in the making. Hardware has "skyrocketed in power and plummeted in cost," and powerful mathematical software has come on the market. Just as important, "a new generation of mathematicians is eagerly becoming skilled at using these tools" -- people comfortable with the notion that "the computer provides the mathematician with a 'laboratory' in which he or she can perform experiments: analyzing examples, testing out new ideas, or searching for patterns." In this virtual laboratory Bailey and Borwein, with other colleagues, were among the first to discover a number of remarkable new algorithms, among them an extraordinary, simple formula for finding any hexadecimal or binary digit of pi without knowing any of the preceding digits. Further research led to proof that a wide class of fundamental constants are mathematically "normal" -- probably including pi, alhough that remains to be proved. Their section on "proof versus truth" is an example of the gems even a mathematical tyro can find among these equations. Bailey and Borwein don't claim computers can supply rigorous proofs. Rather, the computer is a way to discover truths -- and avenues for approaching formal proofs. But often, the authors add, "computations constitute very strong evidence..., at least as compelling as some of the more complex formal proofs in the literature." Great book, but not an introduction. 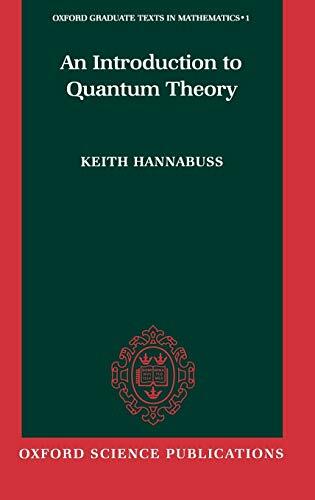 This book is very readable if you have some knoledge about quantum mechanics. It shows how to calculate things using the theory but does not explain the physical part in much detail. It makes a good companion to the Feynman book where you have the physics greatly explained but little mathematical detail. Integration is one of the two cornerstones of analysis. Since the fundamental work of Lebesgue, integration has been interpreted in terms of measure theory. This introductory text starts with the historical development of the notion of the integral and a review of the Riemann integral. From here, the reader is naturally led to the consideration of the Lebesgue integral, where abstract integration is developed via measure theory. The important basic topics are all covered: the Fundamental Theorem of Calculus, Fubini's Theorem, $L_p$ spaces, the Radon-Nikodym Theorem, change of variables formulas, and so on. The book is written in an informal style to make the subject matter easily accessible. Concepts are developed with the help of motivating examples, probing questions, and many exercises. It would be suitable as a textbook for an introductory course on the topic or for self-study. "spotter 7, coastwatch, truk lagoon, south pacific"
Up pops the missing associativity quaternion... rather simple. Now... then Nash's ordinal and quaternions for taste. The internet religious fall river line. Ord def for beta called for. What is the axiomatic language of the Riemann hypothesis? Ordinality, Zermelo, Schroeder, Peano.. Hamilton. internet other than a sister named Bonnie? If Nash is right, the zeta function is an onerous axiom. 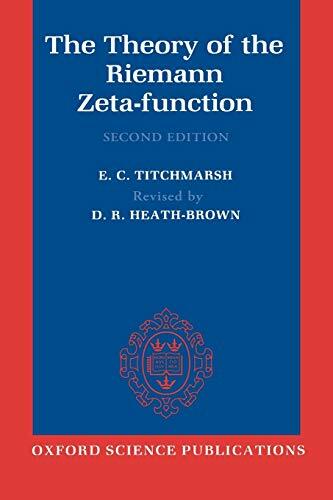 This is the true encyclopaedia of the zeta function. Although I prefer Ivic, I always have the feeling that Titchmarsh wants to appear brilliant. This book cannot be criticized because of the amount of time and effort that must have been spent on it. It was update in 1986 by Heath Brown. It is useless to summarize the contents because it mainly has everything, and most theorems have several proofs and very long comments. One thing that is missing is more stuff about prime number distributions (for this, check Ingham, Edward's, and a bit of Ivic's). It never becomes redundant, and it can either be used a source for additional information, as dictionary, or it can be used in a linear way. An very comprehesive book for Zeta Function. 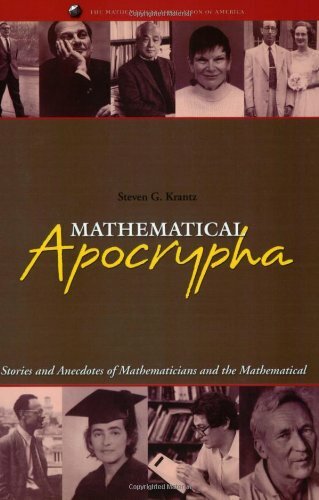 I thought this book would be about the non-mathematical lives of famous mathematicians, and I was not proven wrong. The problem is that it is a compilation of one-paragraph anecdotes of many matehmaticians' lives, which makes for good coffee table reading and not bedtime reading. There is very little substance to any of the lifestyles of any of the characters. The accounts themselves relate to the famous and not-so-famous, but many of them are questionable as to whether they actually deserve to be in this book as they are may times simple accounts of a person's daily life - chronicling the events that happen to many of us on a daily basis. 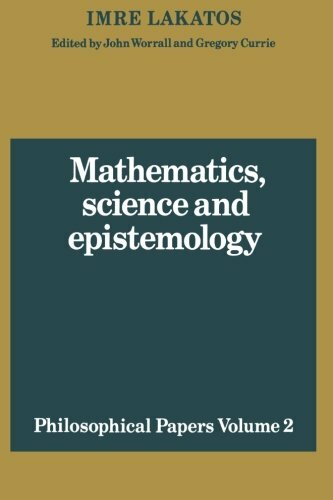 I summary the stories are too brief and there are other (better) factual books on the real lives and histories behind mathematics and mathematicians. Quite against the opinion of many, mathematicians are people too. They have quirks, foibles and eccentricities that are only slightly different in kind from those possessed by the remainder of the population. If you doubt that statement, read this book and be convinced. The author has collected together a set of the most interesting short stories about people, independent of the fact that they do math. It is funny, insightful and can be read by anyone. 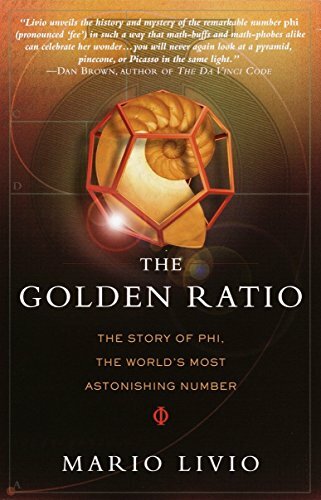 After I started it, I found it very difficult to put down, and I highly recommend it to everyone, whether they can balance an equation or not. I thoroughly enjoyed hunting in this book for various conversion factors, and would recommend it with just one reservation. Both of these omissions can be circumvented by using a calculator and working with what these authors have chosen to include, but the book would be easier to use if they had done what I would have. This little book has saved me a couple of times. Full of data, tables, conversions, etc.... Spend the money and get yourself a copy. You'll be amazed how often you reach for it. Great source of conversion factors. I purchased Introduction to Metric and Topological Spaces two years ago. I was unprepared for its rigor. I am not a mathematics major, but I enjoy reading mathematics. My background includes calculus, linear algebra, differential equations, and other applied mathematics, but I have not had a course in real analysis. W. A. Sutherland intended this text as the next step after analysis. After a brief foray, I retreated, placed Sutherland back on my bookshelf, and attacked some marginally easier introductory texts: Metric Spaces by Victor Bryant, Introduction to Topology by Bert Mendelson, and most recently, several chapters in Introduction to Analysis by Maxwell Rosenlicht. I periodically return to W. A. Sutherland's text to measure my understanding. I am now working on chapter five, Compact Spaces. I doubt that Introduction to Metric and Topological Spaces would be foreboding to students that are familiar with real analysis. Sutherland understands that the abstractness and generalization can be difficult and shows concern with motivating the student. He repeatedly attempts to illustrate the value of generalization, especially in the study of continuity. Sutherland often uses a lengthy series of examples of increasing difficulty to illustrate abstract concepts. In his discussion of metric spaces, we begin with Euclidian n-space metrics, and move on to discrete metric spaces, function spaces, and even Hilbert sequence spaces. He introduces open sets and topological spaces in a similar fashion. The author occasionally suggests that the student might wish to make a geometrical diagram to help clarify some subtle point, but Sutherland includes few geometrical drawings in his text. His focus is clearly on proofs using the axioms of metric spaces and topological spaces. Sutherland highlights sections that either require more knowledge of abstract algebra, or for other reasons are thought to be more severe. Despite Sutherland's use of Introduction in the title, I suggest that any reader considering independent study might defer tackling Introduction to Metric and Topological Spaces until after completing a more basic text. 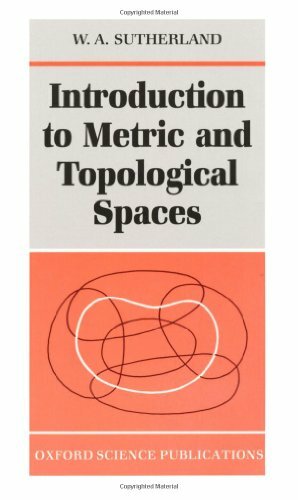 Possibly a better title might be A Second Introduction to Metric and Topological Spaces. 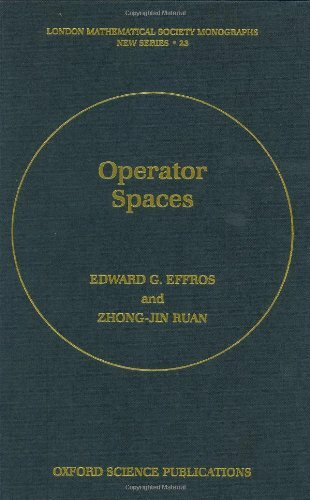 An excellent, concise book on topology and metric spaces. 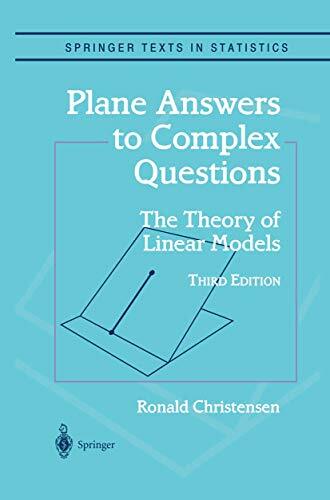 I enjoyed reading this book because of its clarity, conciseness, and nice way of relating topological and metric spaces. This book is ideal for the student who is learning about these subjects for the first time, whether or not they intend to do more advanced work on the subject. The reader who wants to go on and learn about more advanced topics, should consult Munkres's book. 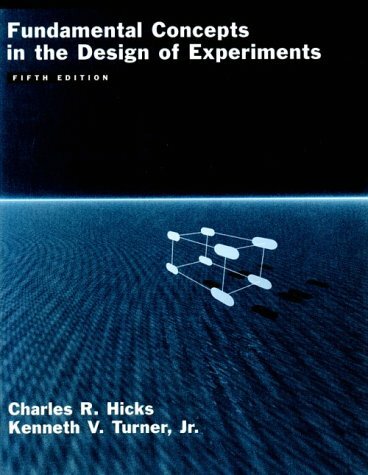 This text is a solid revision and redesign of Charles Hicks' comprehensive fourth edition of Fundamental Concepts in the Design of Experiments. It covers the essentials of experimental design used by applied researchers in solving problems in the field. It is appropriate for a variety of experimental methods courses found in engineering and statistics departments. Students learn to use applied statistics for planning, running, and analyzing as an experiment. Students learn to use applied statistics for planning, running, and analyzing an experiment. The text includes 350+ problems taken from the author's actual industrial consulting experiences to give students valuable practice with real data and problem solving. About 60 new problems have been added for this edition. SAS (Statistical Analysis System) computer programs are incorporated to facilitate analysis. There is extensive coverage of the analysis of residuals, the concepts of resolution in fractional replications, the Plackett-Burman designs, and Taguchi techniques. The new edition will place a greater emphasis on computer use, include additional problems, and add computer outputs from statistical packages like Minitab, SPSS, and JMP. This book is very valuable for those actively engaged in the conduct of experiments, either operational or developmental in nature. It does require someone with a background in statistical methods using analysis of variance. The user needs to have a good understanding of statistical inference. There are many good working models of various analytic procedures provided. 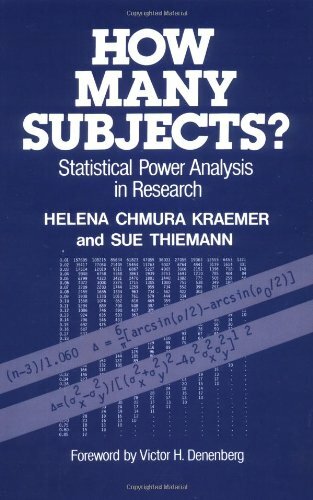 This book is written for people who already know the theory of statistics and want to do statistic consulting. 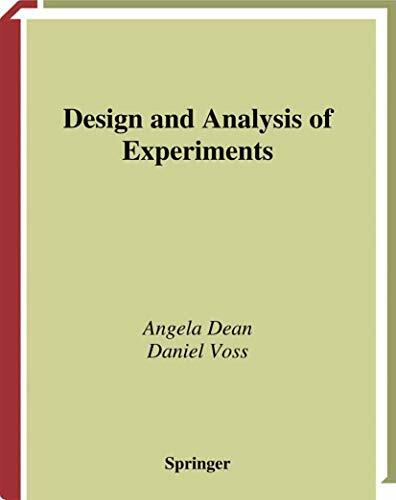 The author begins with the basics of design of experiments: experiment, design and analysis. Then a brief (lovely) review of statistical inference follows; including: Estimation, test of hypothesis, power function and some easy applications. In the following chapters almost all statistical methods are presented; among others: single factor experiments, randomized block and latin square, factorial experiments, nested, experiments of two or more factors, 2^f -, 3^f factorials, split plot design, Taguchi, regression and finally miscellaneous topics including covariance analysis, response-surface experimentation and more. After each chapter there are problems and answers to odd-numbered problems can be found at the end of the book. Included is a practical summery with all methods presented in one table. 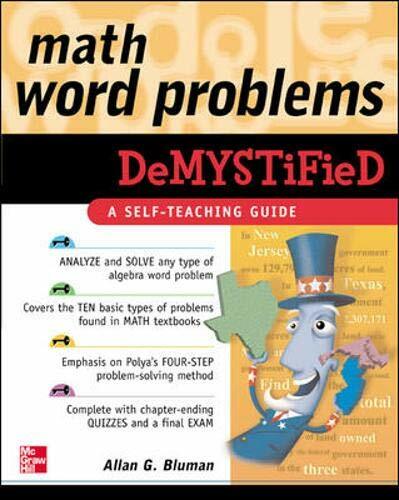 Additionally you find a glossary of terms used in statisics, statistical tables and an index. The examples in the book are analysed using SAS. Knowing that S-Plus is much easier to handle (and knowing that SAS is frequently used in the industry), this is very useful. The mathematics used is easy, but - as mentioned in the preface - the fundamental concepts of statistical inference must be known. 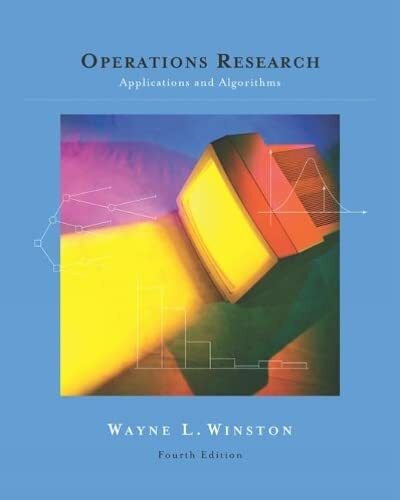 After using this book for a class, we all agreed that this book was not the best for those of us who are just learning the concepts in analyzing variance. The author tends to assume the basics are "hard-coded" into the students head. Fair enough. His next step, however, is not to discuss the theory/concept. Rather, it is to give an example of what he is talking about, hoping you will grasp the concept. It would very helpful to have the concepts explained and then the examples given. In addition, the notation (subscripts) are not always explained, nor are the formulas obvious/straightforward. Finally, the book has editing problems. A better editor and supplementary manuals (step-by-step explanation of concepts and formulas, SPSS instruction, etc.) would be a big help. The book presents a thorough development of the modern theory of stochastic approximation or recursive stochastic algorithms for both constrained and unconstrained problems.There is a complete development of both probability one and weak convergence methods for very general noise processes.The proofs of convergence use the ODE method, the most powerful to date, with which the asymptotic behavior is characterized by the limit behavior of a mean ODE.The assumptions and proof methods are designed to cover the needs of recent applications.The development proceeds from simple to complex problems, allowing the underlying ideas to be more easily understood.Rate of convergence, iterate averaging, high-dimensional problems, stability-ODE methods, two time scale, asynchronous and decentralized algorithms, general correlated and state-dependent noise, perturbed test function methods, and large devitations methods, are covered.Many motivational examples from learning theory, ergodic cost problems for discrete event systems, wireless communications, adaptive control, signal processing, and elsewhere, illustrate the application of the theory. 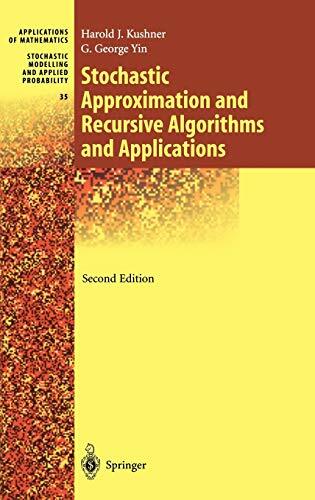 This second edition is a thorough revision, although the main features and the structure remain unchanged.It contains many additional applications and results, and more detailed discussion. Harold J. Kushner is a University Professor and Professor of Applied Mathematics at Brown University.He has written numerous books and articles on virtually all aspects of stochastic systems theory, and has received various awards including the IEEE Control Systems Field Award. This textbook provides a wide-ranging introduction to the use and theory of linear models for analyzing data. The author's emphasis is on providing a unified treatment of linear models, including analysis of variance models and regression models, based on projections, orthogonality, and other vector space ideas. Every chapter comes with numerous exercises and examples that make it ideal for a graduate-level course. All of the standard topics are covered in depth: ANOVA, estimation including Bayesian estimation, hypothesis testing, multiple comparisons, regression analysis, and experimental design models. 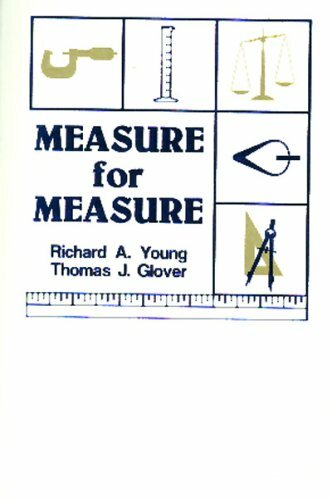 In addition, the book covers topics that are not usually treated at this level, but which are important in their own right: balanced incomplete block designs, testing for lack of fit, testing for independence, models with singular covariance matrices, variance component estimation, best linear and best linear unbiased prediction, collinearity, and variable selection. 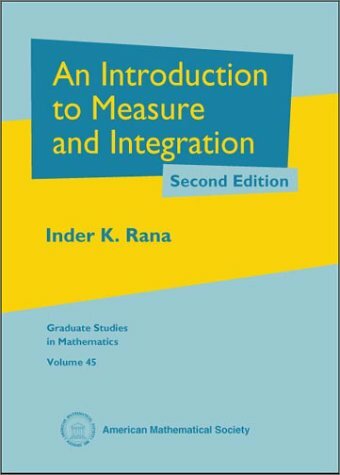 This new edition includes discussion of identifiability and its relationship to estimability, different approaches to the theories of testing parametric hypotheses and analysis of covariance, additional discussion of the geometry of least squares estimation and testing, new discussion of models for experiments with factorial treatment structures, and a new appendix on possible causes for getting test statistics that are so small as to be suspicious.